In semi-beery news, local PR firm (and generally lovely folks) SLB PR have launched a new cocktail competition for Yorkshire called Made in Yorkshire. You can read more about it here. I’m rather a fan of a good cocktail (aren’t we all) and this competition sounds like a good one. The rules are pretty simple, they just state that the cocktail must include an ingredient from Yorkshire. That could be Pontefract liquorice, Wakefield rhubarb or, well, anything we make in this fine region of ours. Most intriguing though is the suggestion that you could use a Yorkshire ale as base for your cocktail. I’d had a few beer-based cocktails before, and generally found them underwhelming. Local chaps Leeds Brewery launched a few on sale at their lovely Pin bar and I can’t say I took to them. They made one cocktail for each of their three regular beers, the best being a chocolaty concoction based upon their tasty mild Midnight Bell. It was quite tasty, but sweet and served oh-so cold, and left me wishing I’d just opted for a pint of Bell instead. 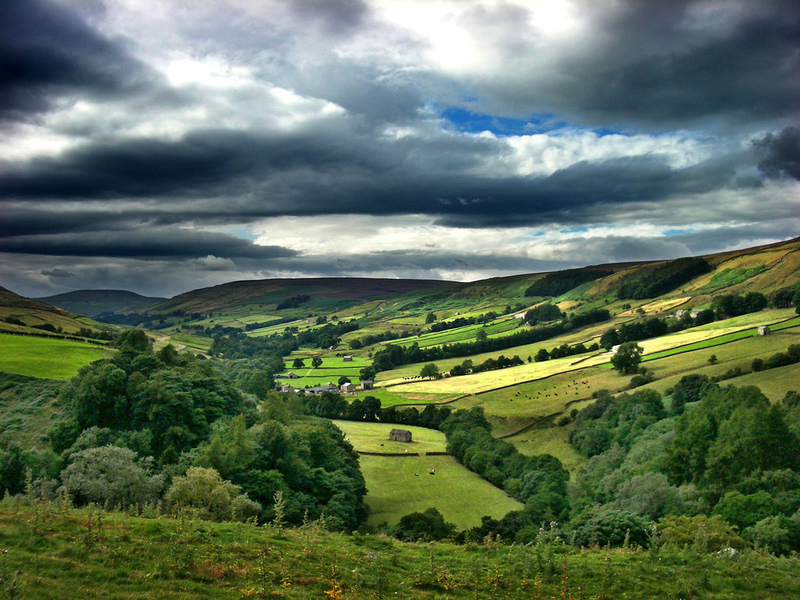 But, we have loads of options in Yorkshire, Black Sheep, maybe Old Peculier might work, Rooster’s various flavoured beers might lend themselves well, and some of Fernandes’ lovely rich stouts could do the trick. But, is any cocktail going to improve on the flavours already present in beer? A great cocktail can really make the most of the flavours of the spirit. Think of the daiquiri, martini or the old fashioned, still strongly reminiscent of their base spirit, but adding extra depth to drink. Is beer already too complex a drink – blessed with its own bitterness and sweetness – to work in a cocktail? Or are the flavours just too subtle in beer to stand up to the addition of fierce spirits. Perhaps one of BrewDog’s more extreme/daft beers, with their massive abvs and huge hop flavours would be a good solution… But they’re not from Yorkshire, so they can bugger off! Back to the start though, this Made in Yorkshire competition should be an interesting one, and is a great advert for some of the great produce, bars and bartenders we have round these parts. There’ll be more stuff on http://www.leedsguide.co.uk/food about it as it happens. Does anyone out there have good experiences with beer cocktails? Or bad experiences? Or good recipes? Sorry again for the paucity of updates on Reet Good. Christmas and that have kept me hectically happy in visiting friends and family, actually spending time at home relaxing. Plus, I’ve been reading endless books on evolution (it seems that I’m hungry, nay starving, for knowledge) and watching ‘The West Wing’, a brilliant but cruel mistress which eats up all your time with its expertly told tales of life inside the White House. ‘The West Wing’ is over now though, so it’s back to more reading, and a refreshed attempt at regular blogging for 2011. So, blathering over with, time for some Meanwood pub updates, which seem to be attracting a huge amount of interest. We’re clearly a heavy drinking bunch in this lovely north Leeds suburb. Secondly, we have the new North Bar, to be opened just a few doors down from East of Arcadia. It shall be called Alfred (as a smart Hitchcock-ian nod to North By North West, what with the bar being North West of North Bar). 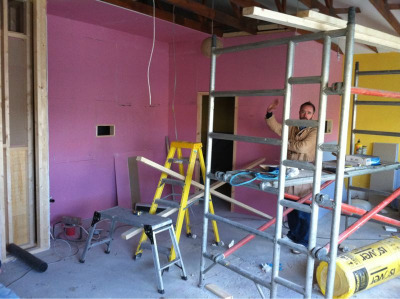 It shall be open in about a fortnight, and it shall be pink. I’m awfully excited. I’ve hopefully got my own hook for a tankard there and everything. While we’re on pubs, I also recently visited Leeds Brewery‘s great latest acquisition, The Garden Gate. Another Leeds Guide review can be found here. I can sum it up like this: it’s a proper lovely, old pub, and it sells Leeds Brewery’s decent four regular beers, but you should visit whether you like beer or not, because it’s properly stunning.